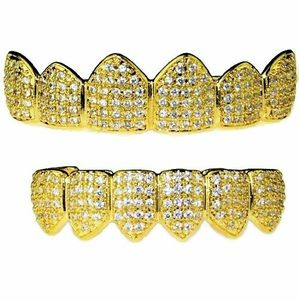 Best Grillz top and bottom CZ grillz set. 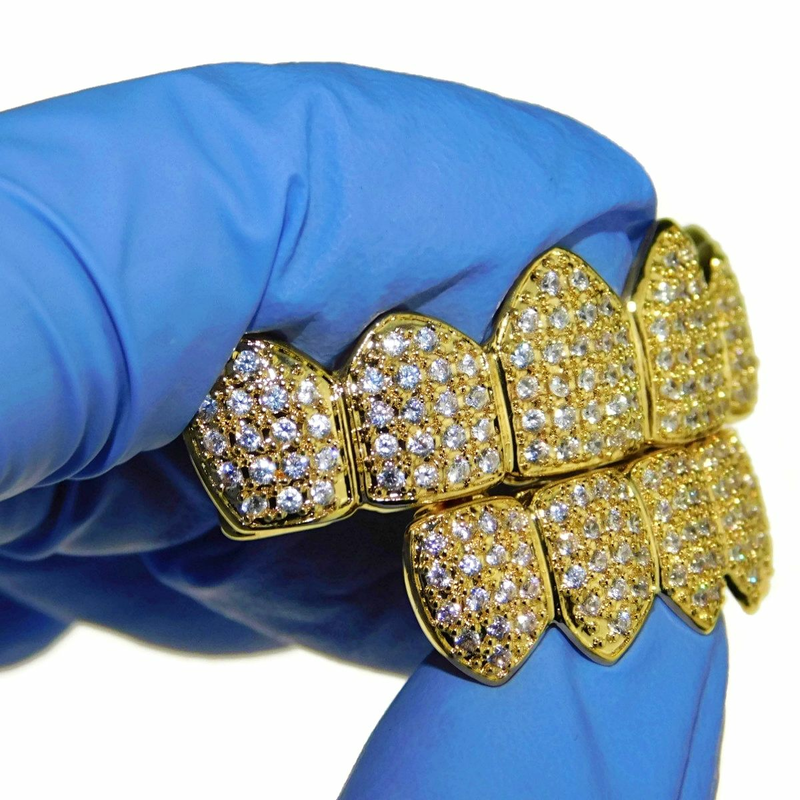 18k gold plated over brass metal. Micro pave with real Cubic Zirconia stones. Easy to fit in five minutes using hot water. 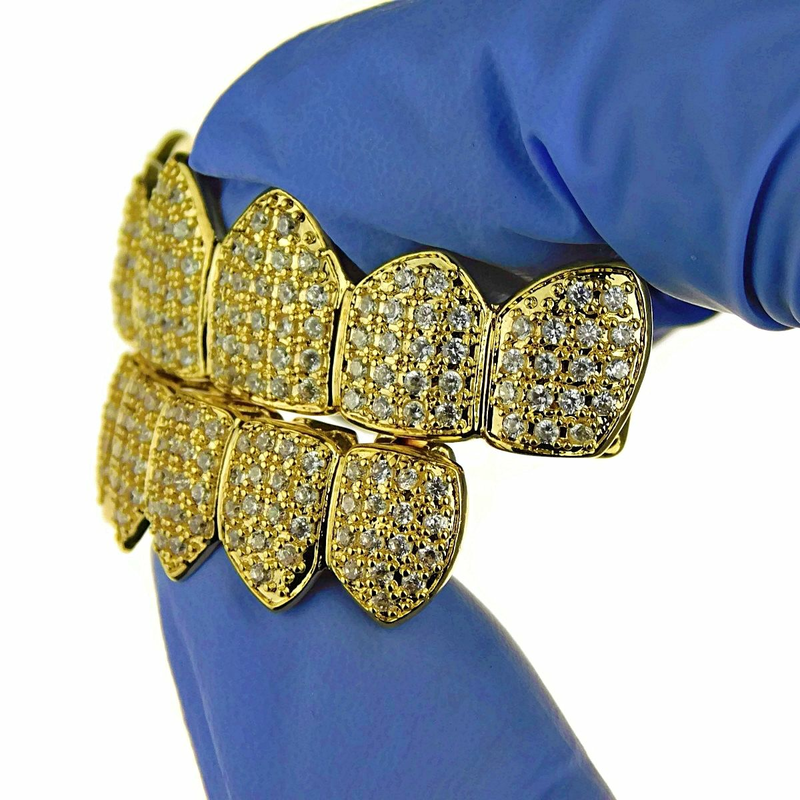 Real looking hip hop grillz made in Korea. 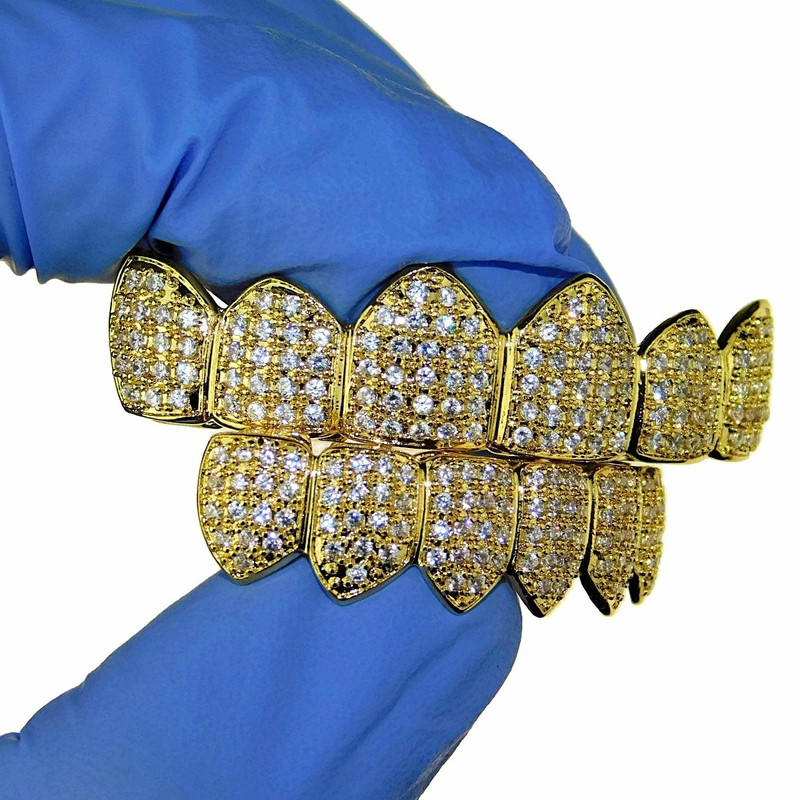 Get your bling on with a mouth full of ice.